The Trump administration’s brutal enforcement of family separation and its crackdown on immigrants and asylum seekers has precipitated a full-blown human crisis at the U.S. border. 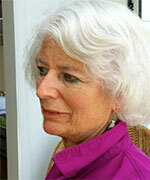 Psychologist Barbara Eisold has spent decades as a volunteer for Physicians for Human Rights’ (PHR) Asylum Network – which provides pro bono forensic medical evaluations of asylum seekers to support their applications for safe haven in the United States – and has-flown to Texas to support families detained there. Since the recent family separation crisis, the need for such support is greater than ever. This month, Dr. Eisold accepted an urgent request referred through PHR to fly to Dilley, Texas within 48 hours to conduct an emergency evaluation of a mother who had been separated from her young child and was on the verge of deportation. The young woman had failed her “credible fear” interview, the preliminary meeting in which an asylum officer assesses if an applicant’s subjective fear of returning to their home country is credible enough to warrant proceeding to immigration court for a full hearing. The credible fear interview is a crucial step in the asylum process: if you “fail” the interview, you can appeal, but unless you present persuasive evidence, the judge can order your immediate deportation. This is where expert forensic evaluators like Dr. Eisold step in. They have the professional skills to help a client to share her story while minimizing re-traumatization, and to properly contextualize her trauma so the immigration judge can consider it during his or her deliberations. I met Ms. Cortés,* a small, alert young woman from Central America, in the South Texas Family Detention in Dilley, Texas. She and her eight-year-old son, Raul, are being held there, while Cortés’ Washington- and New York-based attorneys prepare to appeal her negative credible fear interview because of the circumstances under which it was held. I, a psychologist, was sent to Dilley to assess the symptoms of the trauma Cortés still experiences because of events that occurred both before her arrival in the United States and then after, the result of a month-long separation from Raul, forced upon her by Immigration and Customs Enforcement. My written report, describing these symptoms and providing a psychological diagnosis of post-traumatic stress disorder, will provide evidence that wrongs have been done to Cortés, and, hopefully, persuade the immigration judge that her fear of returning home is credible. Cortés told me that, while still a child, she was raped repetitively by a relative, who swore to kill her parents if she told on him. As a result, not yet a teenager, she bore a daughter. After a month of caring for this child, her father, embarrassed by the baby’s parentage, gave her away, despite Cortés’ protests. Later, Cortés met a man she loved. Together, they had Raul, but, a few years after his birth, Raul’s parents separated. Meanwhile, people in Cortés’ village mercilessly humiliated her, first for bearing a fatherless daughter, then for giving the child away. Undaunted, Cortés set up a clothing stand. This “business” did quite well until recently, when gang members first tried extortion and, when Cortés couldn’t pay up, stole all her merchandise. Following this, she went to work cleaning peoples’ houses. All this time, Cortés was living at home, under her father’s protection, a necessity in a country rampant with feminicide, where the law, compromised by corruption and gang violence, is disregarded and does not protect a woman who lives alone. But last year, Cortés’ father died, and some family members turned on her. One day, while Cortés was away, a drunken uncle tried to choke Raul. For Cortés, this was the last straw – Raul’s life, and therefore hers, was being threatened. They needed to leave. Thus, with her usual determination, Cortés packed up her son and the two set off on the perilous journey north. Nothing could prepare her for what awaited them. At the U.S. border, Cortés told me, she and Raul were first put into the “hielera” (“icehouse” – slang for the cold holding compounds used by Customs and Border Protection). But while Cortés slept, immigration officials took Raul away and sent him…. Cortés was not told where. Already beside herself because of this, Cortés was then sent, handcuffed, to the “perrera,” (“doghouse” – slang for a second holding compound), where a burly immigration official yelled at her and the other confused, grieving women, telling them that they would never see their children again. Cortés, constantly in tears for the month that followed, was desperate. She lived only for her son, she told me. It was in this state of mind that Cortés’ “credible fear” interview had taken place, on the telephone. Not surprisingly, she found it difficult to answer the interrogation of the asylum officer, and she failed it. But Cortés was lucky: somehow, her case came to the attention of attorneys. If it had not, Cortés would have been deported without her son. Meanwhile, it took the attorneys two to three weeks to locate Raul. Finally, the two were reunited in Dilley. Ms. Cortés has suffered a great deal. Her case is emblematic, one of many which are currently being defended from the U.S. administration’s attack on legal protections and due process. As a psychologist, I believe that protection should be at the heart of our immigration policies. Ms. Cortés deserves that protection. *All names and other identifying details have been altered.